Jeanine Pirro suspended at Fox for Rep. Omar comments…. 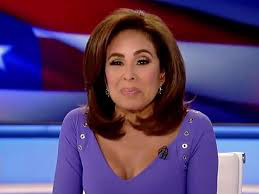 Fox not let it be know they didn’t like anchor Jeanine Pirro’s diss of Rep. Omar on the air? The took her off the air for a few…. Pirro is one of the network’s highest-rated weekend hosts, well known for her vehement defenses of President Donald Trump and attacks against his perceived enemies. Jeanine Pirro was a no-show on Fox News for the second week in a row after the controversy over her Islamophobic remarks about Rep. Ilhan Omar (D-Minn.). The cable news network declined to offer an explanation for why the host was absent again from her Saturday slot…. Pirro is back at work at Fox News….